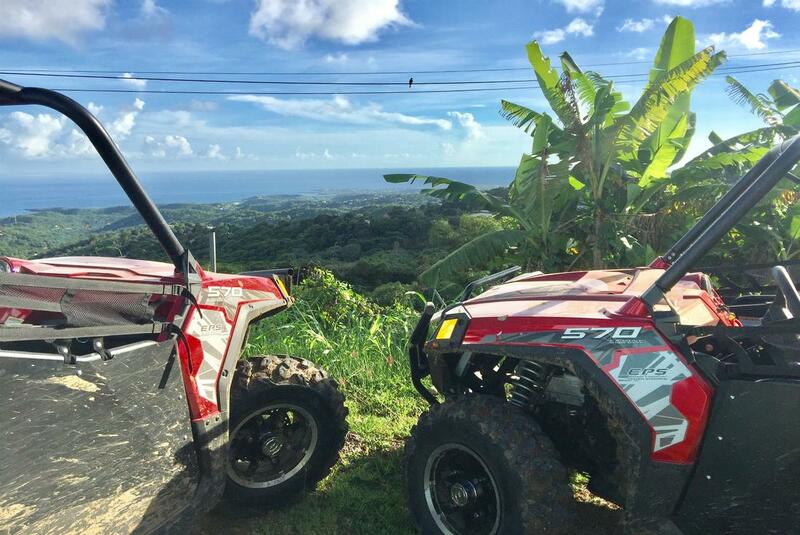 Experience the beautiful island of Grenada during this dune buggy adventure that takes you along scenic roads and trails on your way to natural and historical sites. Depart Pt. Saline and travel along the rugged coastal trail hugging the Morne Rouge Bay. You’ll arrive at Quarantine Point and take in the beautiful vistas of Grand Anse Bay and the town of St. George’s with its sheltered harbor. 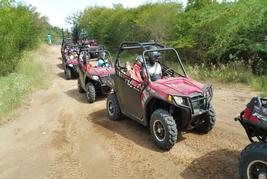 Next you’ll journey along Lagoon Road on your way to Fort Frederick and Fort Matthew. Fort Frederick was built by the British in the 17th century and commands a 360 degree view of the southern end of the island that offers the perfect photo opportunities. Continue your ride along the Morne Jaloux Ridge and down a picturesque route to the village of Marian before stopping at Fort Jeudy Point to witness fantastic views of the Caribbean Sea. Conclude your journey by driving through the lively fishing village of Woburn and back to base.